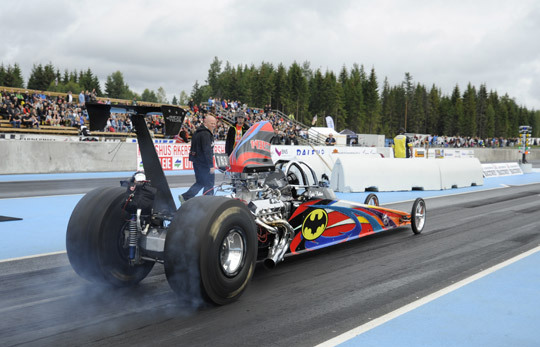 ‘It’s raining again’ from Supertramp would have been more suitable for the Drag Challenge Grand Opening then AC/DC’s ‘Thunderstruck’ that came from the Gardermoen Raceway sound system almost every four hours. 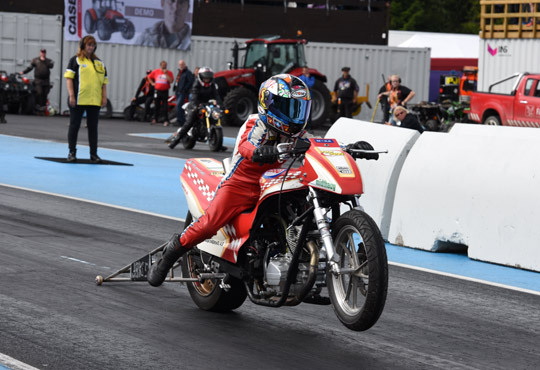 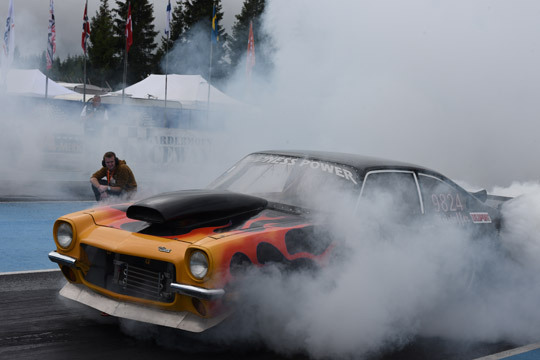 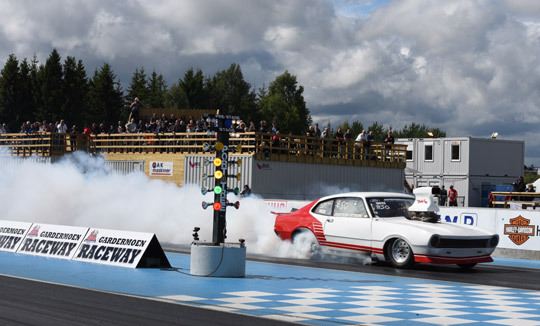 You don’t always get what you deserve and that was for sure with the Norsk Drag Racing Gardermoen and their opening of the new Gardermoen Raceway. 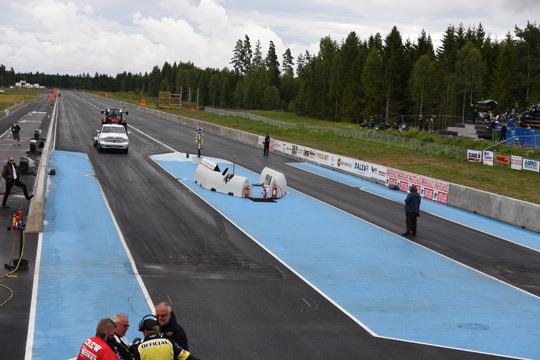 The NDRG volunteers did an outstanding job to get their new track race ready in time and make the official opening one to remember. 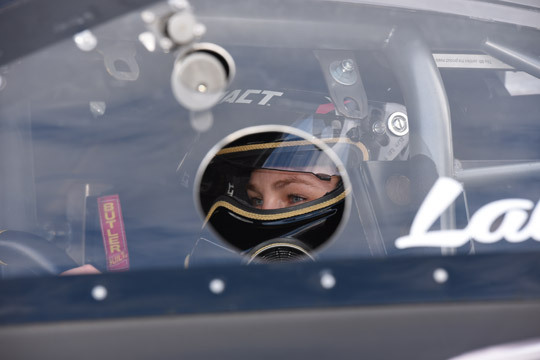 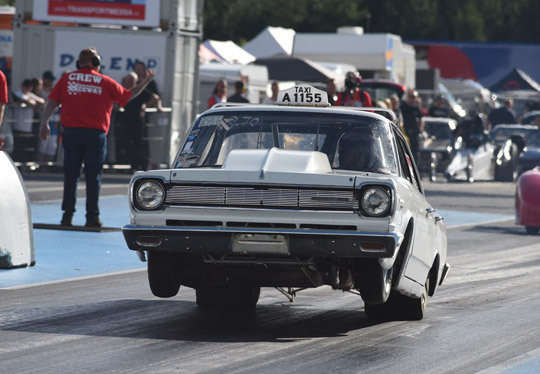 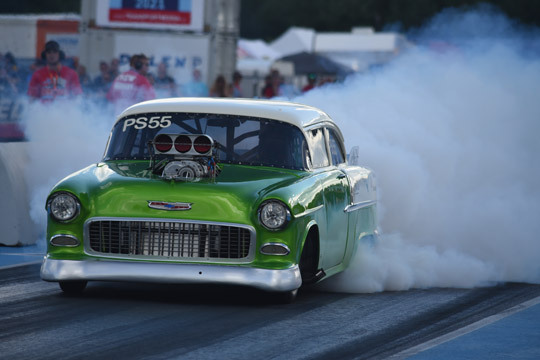 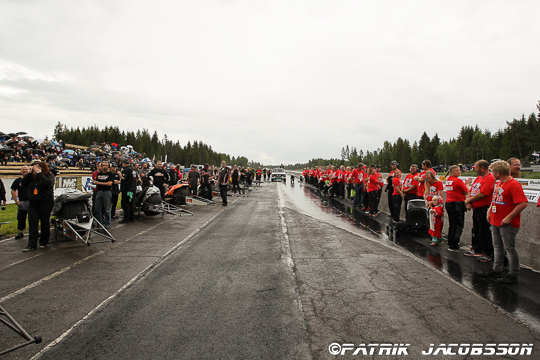 The new Gardermoen Raceway dragstrip looked impressive and the elapsed times that were recorded in the first weekend were so promising, that the Norwegian track will be record setting in the near future again, as it already was in the past. 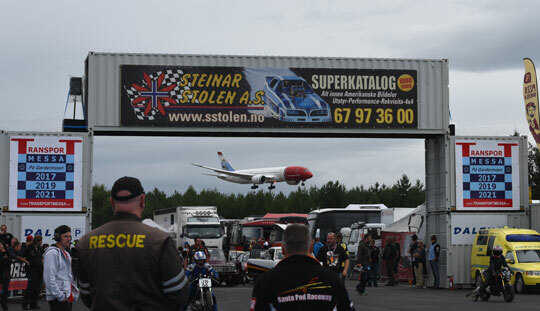 The only thing that didn’t want to cooperate in this party, was the weather. 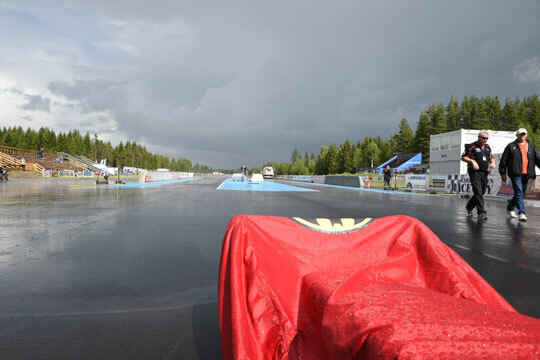 It rained during the official opening on Saturday, and all qualifying days were so badly affected by the weather, that most classes could only make one run per day. 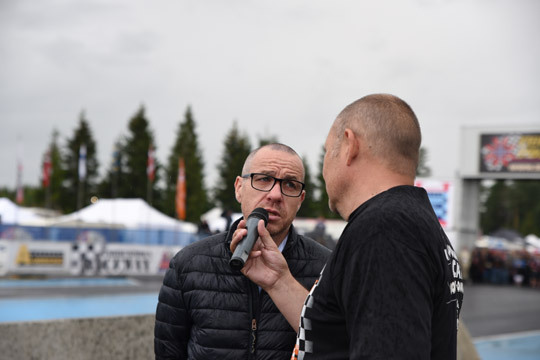 On race day it was not much better, as after drizzle had interrupted eliminations during the day, heavier rain was back at 4 PM. 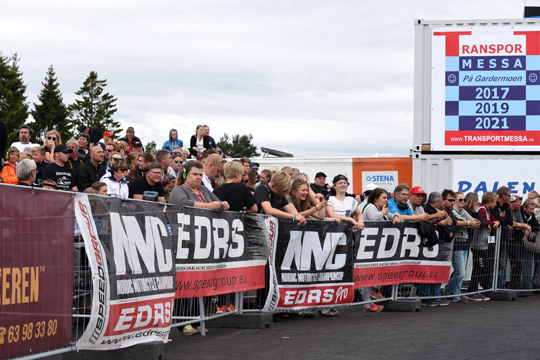 With in almost all classes of the EDRS European Drag Racing Series one or two rounds run and the quarter finals of eliminations still to go, the race director had no other choice but to cancel the event. 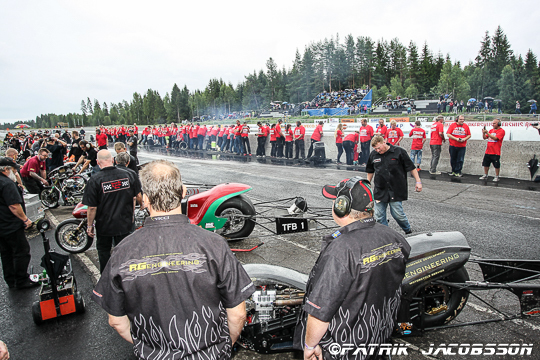 With the forecast of more rain to come, there was no point in delaying the eliminations any further. 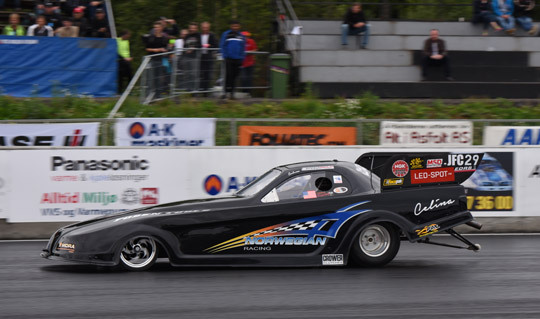 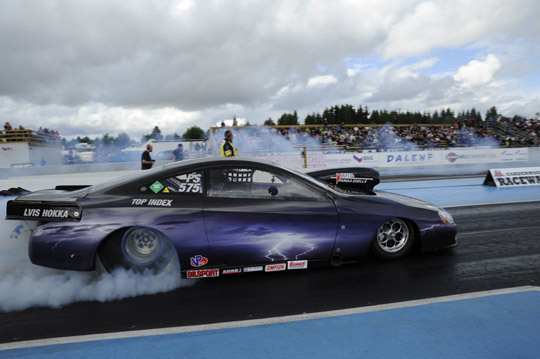 Pro Modified was the only class with the semi-finals run and Micke Gullqvist and Anders Nilsson in the final. 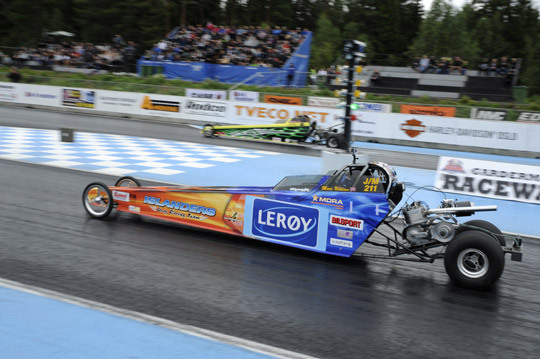 Gullqvist recorded 6.14 seconds in qualifying, proving how good the new track already is.